Over a month ago I bought myself an Amazon Kindle. For those of you who haven’t seen these or heard of them, the Kindle is an electronic book-reading device. I should mention that this decision was a bit of a dilemma for me. On the one hand, I am a techy guy who loves gadgets. On top of it, I’m a big Apple user and am very interested in devices like the iPad. But on the other hand, I love books. Real books, with real paper. I hate to read longer documents on computer screens, and only do so when absolutely necessary. But I bought a Kindle. And I love it. Here’s what sold me (and a few reasons I bought this rather than just saving up for an iPad). Reading on a Kindle is like reading a book. It really is. It’s not a back-lit screen, but what they call their e-ink technology. It doesn’t seem to cause the same kind of eye strain that you would have with an LCD display, nor do you get glare from surrounding light. I know that the iPad has a great e-book reader, and there is even a Kindle app which can be used on the iPad and iPhone. But for the reading experience, the Kindle display wins hands-down. Shelf Space – I am now getting to the point that I really don’t have much more room in my study at church for too many more books. My shelves are nearly full. I don’t think this means that I will never buy a hard-cover book again, just that I need to be more judicious about which books deserve a place on my shelf. I’ll save the paper for books that I will want to have on hand, like reference books, lexicons, and some of those classics that I’ll want to fill with marginal notes and highlights. But for many volumes, I will be happy to be able to carry them all around in an 8.5 ounce device. 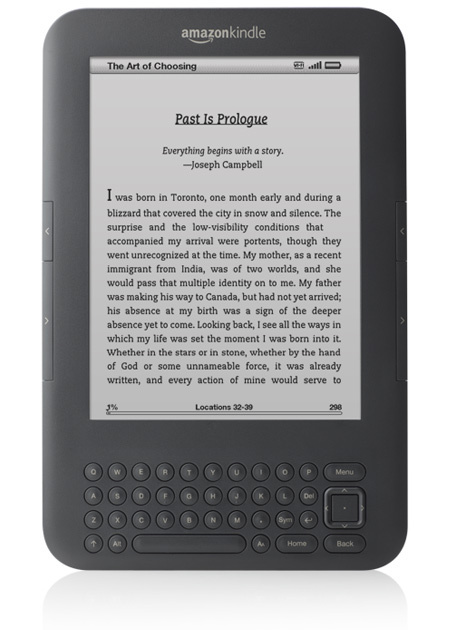 Cost – The Kindle is available for as low as $114. Obviously, this doesn’t really compare to something like the iPad, because the Kindle basically does one thing, and does it very well. The iPad does lots of things really well. And that is reflected in the price. There are also free readers available for Mac and PC, iPhone and iPad, Android, etc. Additionally, many of the books available on Amazon are cheaper in Kindle format than their print counterparts. And no one has to pay to ship an e-book to you since it is immediately available on your devices. 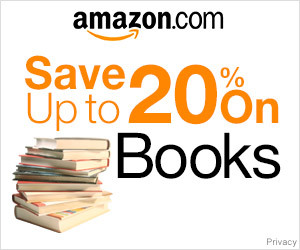 I already prefer to buy books from Amazon.com, because their books prices are generally cheaper and because it’s easier to qualify for free shipping than most other online retailers. The Kindle store even has books from smaller publishers like Concordia Publishing House, which carries a great selection of Lutheran material. Another great feature is the ability to send personal documents to read on the Kindle. This is great for longer documents (Word, PDF, RTF) that I have on my computer, but in order to read it I would either need to read it on the computer screen or print it out. Most often, these are things like essays and papers. Reading it on the Kindle is much more pleasant than any alternative. The Kindle even gives me the ability to share highlighting and notes. It’s that much easier than typing out interesting quotes and then posting them to something like a Tumblr account. Here all I need to do is select the section, type a note, and post. If you are already a Kindle user, go ahead and follow me here. I really enjoy my Kindle too! I just need to find time to read more. I am a periodic reader of your blog, and appreciate your insights. Saw this post today (after returning from Worship Conference and WELS Convention) and thought I would let you know that the Amazon Kindle store also now has all 15 New Testament volumes of the People’s Bible. I am glad to see some NPH titles on the Kindle Store. I look forward to seeing some new releases (books I don’t already have) available in Kindle format. I was also glad to hear that the Quarterly will now be available electronically – that would be great to have on my Kindle. Somehow I’d missed this post until just now. I completely agree with you about the Kindle. For me, the e-ink screen is the next-best thing to actual books for long reading. My wife has a Nook Color, which is a nice device (particularly for things like magazines), my plain ol’ e-ink Kindle works much better for reading. I had no idea that they had public kindle profiles like that. Seems like a neat idea. Thanks for pointing this out! Do you have any recommendations re which Bible to purchase from Kindle. I’m debating the NIV or the one they are offering from Concordia that’s ESV. If you are looking for a study Bible, I would definitely get The Lutheran Study Bible. It does use the ESV, but it’s the best study Bible out there. If you are just looking for a Bible, you can get the ESV for free. I think that if you get any version of the NIV for Kindle right now, it will be the updated NIV 2011, which I can’t say that I would recommend at this point. But The Lutheran Study Bible is worth having. Thanks for the info – I did purchase The Lutheran Study Bible – am enjoying tremendously, which I use frequently, and I also bought the NIV but I have hardly used it. Thanks again.